SAN DIEGO, CA–(Marketwire – June 17, 2010) – Wicked winds, tight greens and scary tee shots — those are just a few of the elements that Full Swing Golf participants from around the world will face this week when they tee off in a virtual golf simulation of the U.S. Open at Pebble Beach at the same time the world’s best golfers are battling for the year’s second major. 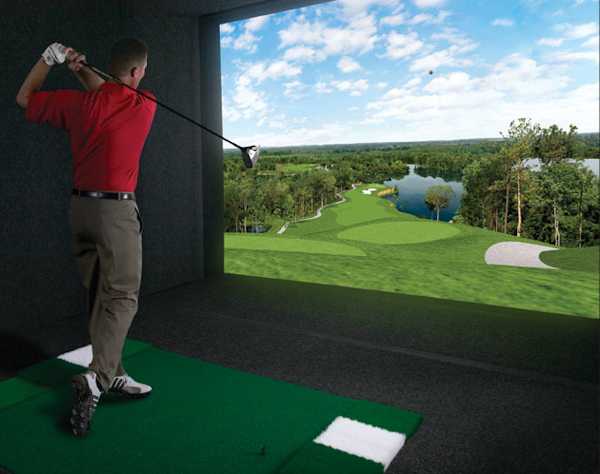 While those unpredictable winds blowing off the Pacific Ocean will make shot-making challenging on the actual course, players from around the world will step into their golf simulators and sample the same conditions when they compete in the world’s first-ever Indoor U.S. Open Golf Championship, hosted by Full Swing Golf. This event takes place from June 17 to June 20. Players will tee it up from the championship tees. From Malaysia to Alaska to Denmark, golf enthusiasts are participating from their own homes, from indoor golf centers and from golf shops; all will feel like they are on the California coast teeing it up alongside the pros. As the worldwide leader in golf simulation, Full Swing Golf features a state-of-the-art infrared tracking system with the most accurate and instant feedback in the game. Full Swing technology provides golfers with an extraordinary experience and precise shot information including yardage, launch angle, ball speed and carrying distance. The simulators are featured in thousands of locations across the globe and are connected to each other via the groundbreaking Online Golf Club, pioneered by Full Swing Golf. Competitors in Full Swing Golf’s Online U.S. Open tournament range from ages 9 to 55. One of the competitors this week hopes to be inspired by the legends of golf who have all won majors at Pebble Beach. Competitor Mason Nome, 9, is one of these eager entrants; his father Craig owns a Full Swing Golf Simulator in his home. “Mason will play for hours on the simulator refining his game and practicing specific shots,” states the proud father. Mason finished 19th out of 119 competitors in the age 8 bracket at the U.S. Kids Golf World Championship held at Pinehurst in August 2009. This week, the Texan hopes to add a virtual U.S. Open victory to his hardware. Individual scores as well as team scores will be posted on Full Swing’s website daily. Each player is paired with a Tour Player, and their scores are combined for the three-day tournament.